This course provides prospective college students with a primer in college level reading, writing, and mathematics. Whether a student is preparing to take a standardized placement test, or simply wishing to determine and improve his or her readiness to handle college-level work, this course can help to build mastery and confidence. Students may choose to work at their own pace across all three subject areas, or to select individual content areas. Pretests will determine any learning deficits, which can then be mastered through self-paced learning modules. Not forgetting the importance of the human touch, this course is overseen by a trio of reading, writing, and mathematics professors who will be available to assist and encourage students along their journey to college readiness. Learn the World's Fastest Mental Math System. This class explores sound and what can be done with it. Sources are recorded from students' surroundings - sampled and electronically generated (both analog and digital). Assignments include composing with the sampled sounds, feedback, and noise, using digital signal processing (DSP), convolution, algorithms, and simple mixing. The class focuses on sonic and compositional aspects rather than technology, math, or acoustics, though these are examined in varying detail. Students complete weekly composition and listening assignments; material for the latter is drawn from sound art, experimental electronica, conventional and non-conventional classical electronic works, popular music, and previous students' compositions. 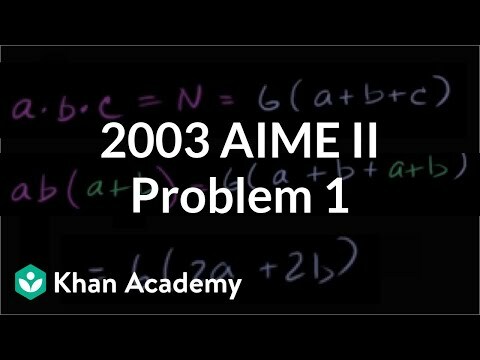 This course presents material in discrete mathematics and computation theory with a strong emphasis on practical algorithms and experiential learning. Discrete mathematics, also called finite mathematics or decision mathematics, is the study of mathematical structures that are fundamentally discrete in the sense of not supporting or requiring the notion of continuity. Objects studied in finite mathematics are largely countable sets such as integers, finite graphs, and formal languages. Concepts and notations from discrete mathematics are useful to study or describe objects or problems in computer algorithms and programming languages. The CDM course is currently under development and we are making the course available while it is under development. Only one of the planned fifteen modules is currently available. The module on Groups that is currently available would appear mid-way through the complete course.